Building a 308 Win / 7.62 NATO caliber AR rifle is not as easy as an AR15. There is no standard or “mil-spec” for manufacturers to follow so you have to experiment with parts to find what will and won’t work together. If you don’t do your research you can end up wasting a lot of time and money. When starting your 308 Win/7.62 NATO AR build, the receivers are the 1st thing you should select. There are 2 main pattern of receivers: the Armalite AR10 pattern; and the DPMS LR308 pattern. It is important to note that you must use an upper and lower receiver from the same pattern (i.e. you can’t use a DPMS upper with an Armalite lower). When I started my build I selected the upper 1st which happened to be a DPMS pattern upper so I began my search for a DPMS pattern lower. 1) Buy the pins from the same place you buy the lower. Even if you buy the parts kit somewhere else, it’s not worth the $20 to risk the front and rear takedown pins not fitting. 2) There is no standard spec for either LR308 or AR10 receivers. Unless you buy the upper and lower as a pair, it will probably have some gaps. This is fine as long as they are both the same pattern (i.e. 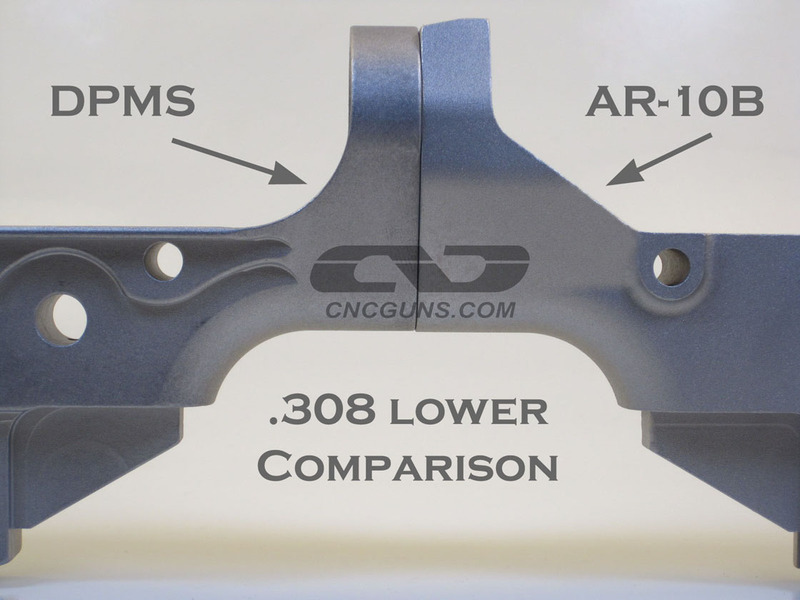 AR10 upper and AR10 lower) but it may not look perfect. 3) Some lowers have proprietary bolt catches. Most 308 sized lowers have a set screw type bolt catch pin. Not all parts kits will match all lowers. Again there is no standard for these guns, if yours requires a screw, not a roll pin, ask the seller/manufacturer what parts kits work with that lower. I looked high and low over the internet, called local gun stores, and read numerous forums trying to find a lower receiver that was pretty universal and wouldn’t cost as much as my upper. I could not find a stripped lower at a LGS for less than $250 so I narrowed the choice down to 3 options online, all were in the $80-$100 range + shipping. Then one day this past summer Tennessee Arms Co. ran a sale on their hybrid lowers and their 308 lower was $60 shipped! I picked up the 308 lower, an AR15 lower, and the 308 lower takedown pins for less than $100 shipped. I am going to be honest and say that the price was the biggest reason I went with the polymer lower from TN Arms, but it wasn’t without hesitation. I spent a couple months up to that point researching their lowers and seeing if I could find anyone else out there who had built a “Big AR” off of one. I had never built a polymer based AR of any size and I had heard plenty of horror stories about them blowing apart. Ultimately I decided for $60 it was worth the gamble because not only was the lower cheap, but so was the parts kit (oh yeah, knowing that the lower has a lifetime guarantee against breakage made me feel all warm and tingly inside as well). The TN Arms lower still uses an older style design with a roll pin for the bolt catch which means that with the exception of the front/rear takedown pins, any AR15 LPK will do. Since I was gambling on the lower I decided to roll the dice and use my favorite AR15 LPK which is also the cheapest one I can find anywhere: the Karris Guns basic LPK. When I got the lower I was amazed at how light it is. I mean I knew it would be lighter than any aluminum lower, but this thing barely weighs anything! As I put the lower together I was blown away at how easy it went together. Building this 308 lower was probably the easiest lower build I have ever done. Period. The stupid bolt catch assembly usually takes me at least 20 mins to get in, but in this build it was maybe 2 mins. What was even more pleasant was I was able to build the lower for less than $160. The biggest question mark for this lower though was durability. I have now shot about 100 rounds through the lower and not had a single issue with the lower. There are no cracks or fractures visible. Everything is still tight and in place. 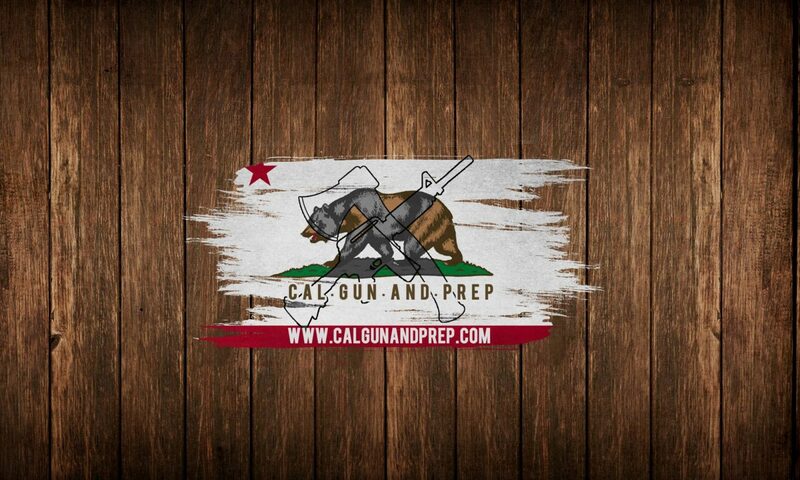 I realize that 100 rounds is not an extreme amount of abuse, but to be honest I think I will be lucky if I get to shoot it 500 rounds in a year so I’m going to call it good and if anything does happen, I am backed by a lifetime warranty from TN Arms Co.